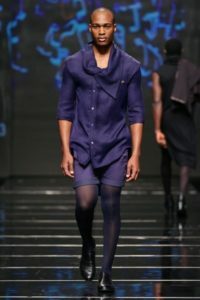 Lutuleigh is a fashion brand that focuses on ready to wear and avant garde for menswear and women, based in Johannesburg, South Africa. 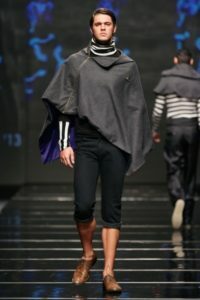 They offer exclusive, original and feminine styles for fashion conscious men and women of today. They have participated in a number of fashion events including the Vodacom Durban July, Durban Fashion Fair, South African Fashion Week and Design iNdaba. 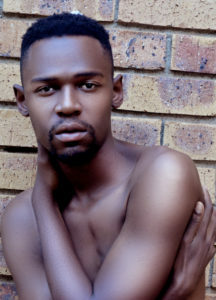 Lutuleigh Founded in May 2012 by Designer Msizi Miles Lutuli, Born in Durban, KZN. Miles Lutuli developed interest in fashion at a young age, he went on to study Fashion and Textiles in Durban University of Technology. He has worked with a number of fashion brands in South Africa namely Nguni Shades, House Of Alfalfa, House Of Saint Luke and Urban Zulu. 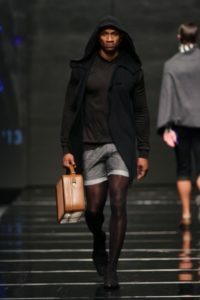 Miles Lutuli was part of the internship program by the Durban Fashion Fair in collaboration with eThekwini Municipality, where he got to intern for an Italian brand Giovanni Cavagna, based in Milan.